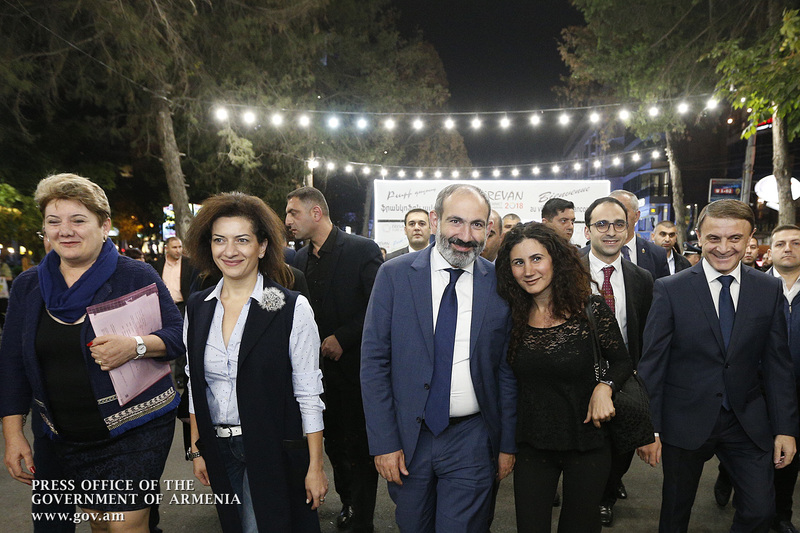 Prime Minister Nikol Pashinyan and Mrs. Anna Hakobyan called at the Francophone Town, recently opened at Liberty Square in Yerevan, where they attended a gala event dedicated to the 15th anniversary of Alliance Française activities in Armenia. Incumbent French Ambassador to Armenia Jonathan Lacôte made a speech, while former French Ambassador Henry Cuny addressed the event with a video message. 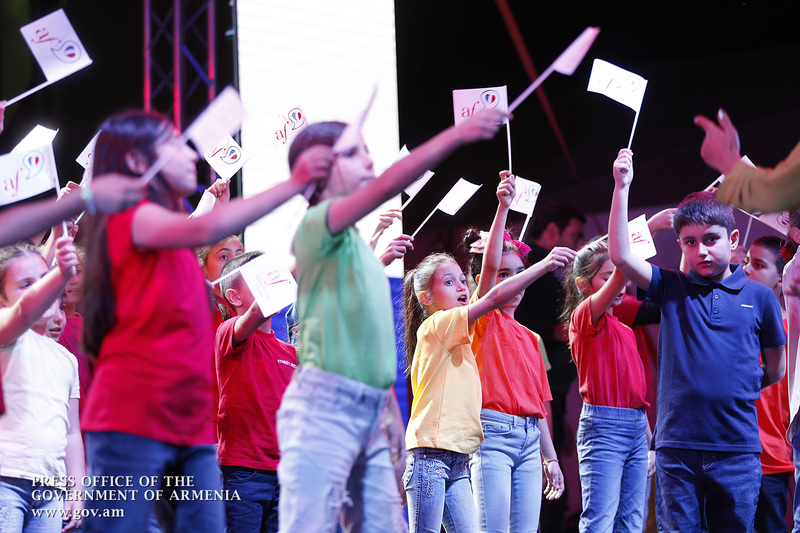 They expressed high opinion of the activities carried out by the Armenian Alliance Française in terms of promoting awareness of French language and culture in our country. Diplomas were handed to this year’s best students of Alliance Française. 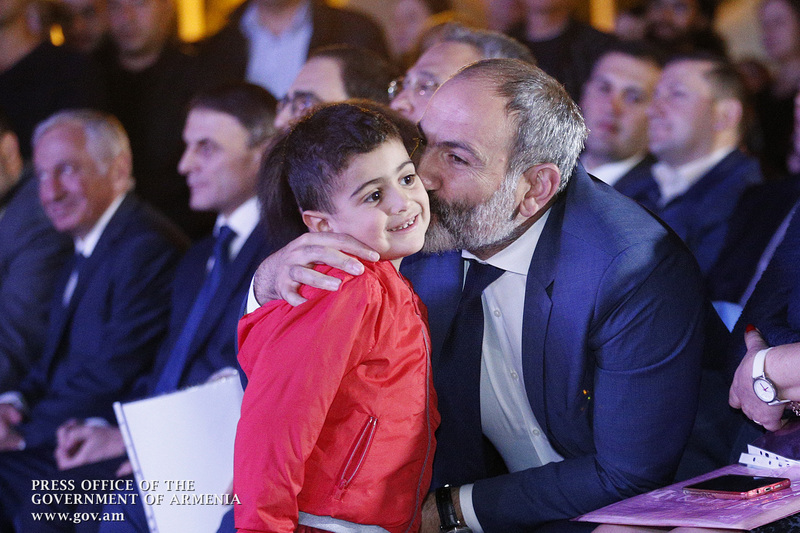 Prime Minister Nikol Pashinyan was awarded the 2018 Best Student Diploma. 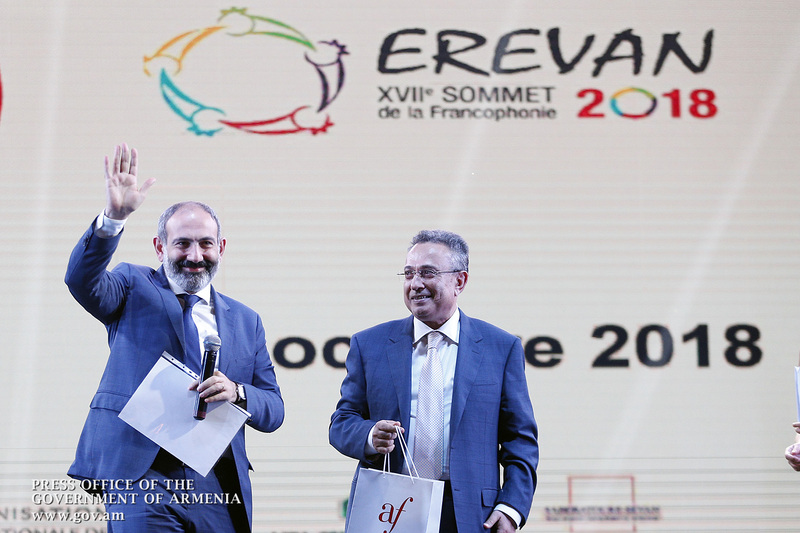 The Premier received it from Alliance Française Armenia Board Chairman Hakob Andreasyan. “I am happy that my French learning process has drawn such a great attention, which implies a high responsibility for me. I hope people in Armenia will get to learn a few foreign languages, including French. 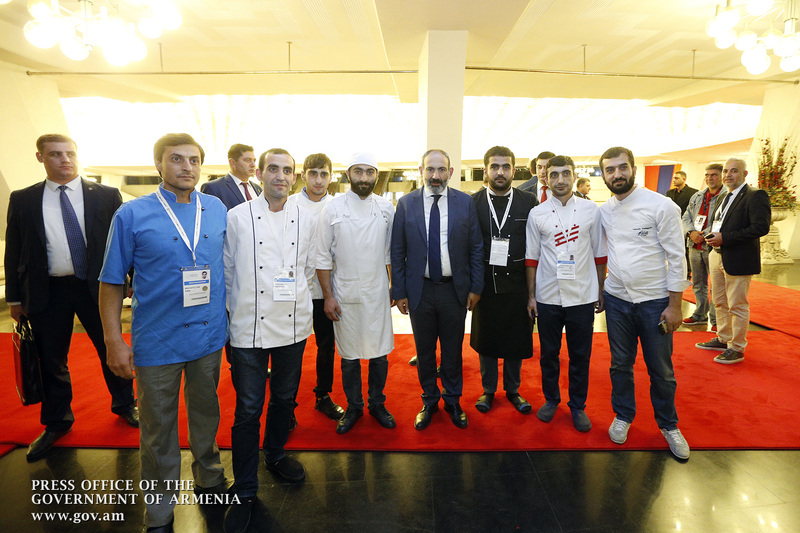 You may know that I have been deprived of my journalist’s diploma due to internal political considerations, and I am glad to earn this one for external political reasons,” Pashinyan said. Then, the Prime Minister toured the national pavilions up in the Francophone town to get acquainted with Francophone countries’ ethnic cultures and traditions. 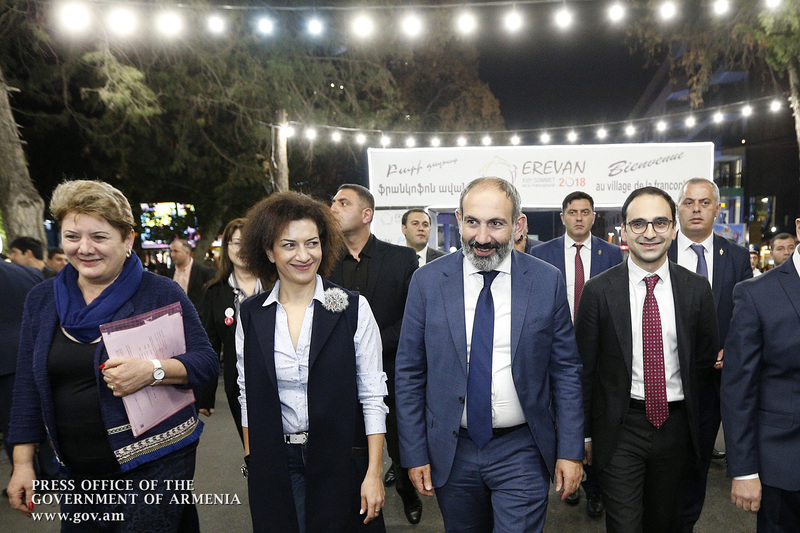 Nikol Pashinyan also visited the Sports and Concert Complex, the venue for the 17th Summit of La Francophonie, where he inspected the ongoing organizational activities.